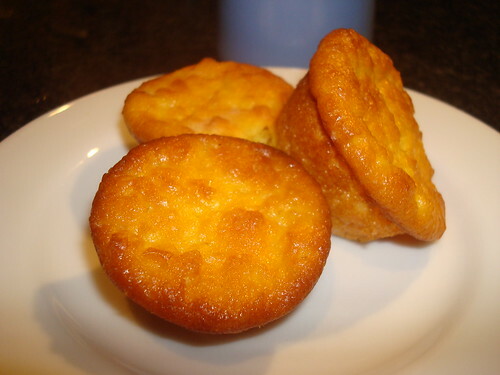 Grease with little butter a cake tin or muffin tin. 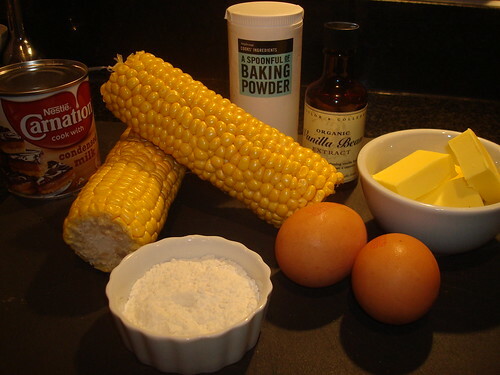 Put all the ingredients except the corn kernels in a blender and mix until incorporate. 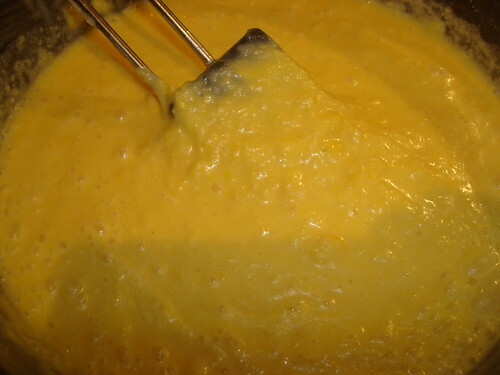 Add the corn kernels and blend again. Pour the mixture in the tin. Bake in the preheated oven for 45-60 min. 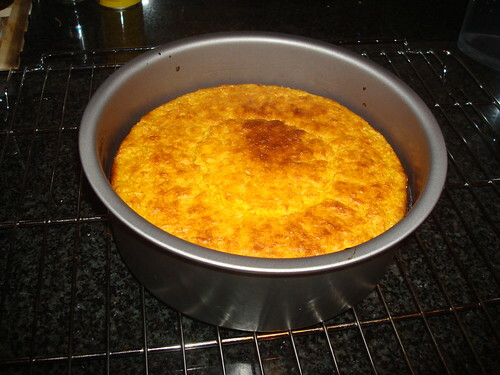 (cake tin) or 20-30 min. (muffin tin). or until golden. Leave to cool. You can decorate it with cinnamon and icing sugar. You can serve it with cajeta or rompope cream yumi! 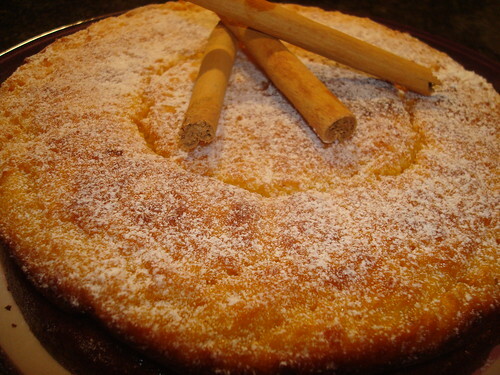 You can eat it with a delicious Mexican coffee (café de Olla) or with a rompucciono (cappuccino with rompope). Note: Even if Mexican and British corn are different, the results turn out pretty much the same in this dessert, so there’s no need to worry. 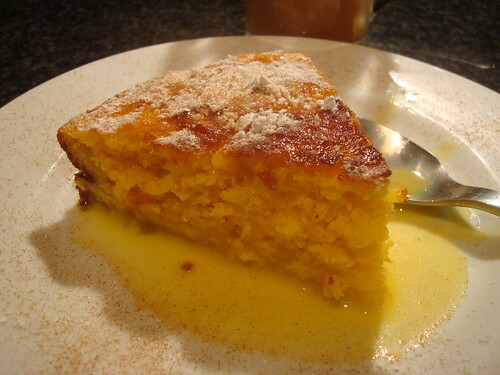 I am so glad you and your friends enjoyed the corn cake, and it is really a traditional Mexican dessert! I am so exited you like it! And thanks for your comments!